Rev. Kyoki Roberts serves on the Executive Team of An Olive Branch. She is our lead mediator as well as our intake person. Kyoki served as Head Priest of the Zen Center of Pittsburgh, a Soto Zen Buddhist temple, for eighteen years stepping down in 2016. She now resides in Omaha, Nebraska. Kyoki has been mediating disputes and facilitating non-profit boards for more than 35 years. She has offered her Difficult Conversations workshop across the country. She served as vice-chair of the Soto Zen Buddhist Association as well as the chair of the Ethics Committee and was the lead author of the SZBA Ethics and Code of Conduct document. She was a mediator and trainer for the State of Nebraska and Interchurch Ministries of Nebraska for 10 years. 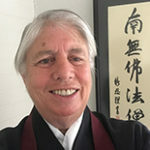 Kyoki is certified in church, business, farmer/creditor, family, interpersonal, transformative, community, restorative justice, and multi-cultural mediations. She holds a Bachelor of Science degree in Animal Science/Biochemistry from Colorado State University. Kyoki pursued Zen Buddhist training in Nebraska, Minnesota, California, and Japan. She is certified to teach by the Soto Shu of Japan. Dr. Katheryn D. Wiedman is a founding member of An Olive Branch, serves on the Executive Team, and is our lead facilitation consultant. She is President of CenterPoint Institute, a consulting firm providing capacity building services to nonprofit organizations and foundations since 1988. As a consultant, facilitator, and thinking partner, Wiedman developed a client list of over 160 nonprofit organizations. Wiedman’s areas of professional expertise include strategic planning, facilitation, research, board development, project management, and volunteerism. She has facilitated 32 strategic planning processes and eight other capacity building projects; planned and executed 21 national and international conferences; and conducted and reported on 23 studies and research projects. Wiedman (formerly Heidrich) authored a book and several articles that were published in professional and scholarly journals. In addition to training over 40 boards of directors, she developed training curricula for boards and nominating committees for two national nonprofit organizations. She is a BoardSource Certified Governance Trainer. Ms. Leslie Hospodar is certified mediator and a founding and Executive Team member of An Olive Branch. She is a long-time Soto Zen Practitioner, served as President of the Board of Directors of the Zen Center of Pittsburgh and is currently an Advisory Board Member. Ms. Hospodar’s professional career as a Project Manager has focused on process improvement, product delivery and team building in the Healthcare Information Technology arena as a director and as a consultant. Leslie has attained Project Management Professional (PMP) certification, and has managed successful teams drawing on her 30+ years of facilitation and training expertise. Dr. Barbara Gray is a founding member and mediator for An Olive Branch. She is an Emerita Professor of Organizational Sociology at Pennsylvania State University and has 40 years of experience studying, intervening in and writing about conflict, negotiation, and collaboration. She also holds lay entrustment as a Soto Zen teacher. Barbara has conducted mediation, team building, facilitation and conflict assessment for over 30 business, government, educational, non-profit and religious organizations including facilitating an e-conference on biodiversity for the European Union. She has provided negotiation and conflict management training to a variety of public and private sector organizations worldwide including the U.S. Fish and Wildlife Service, the Federal Highway Administration, US Steel Corp., Mellon Bank, Greenpeace International, Boer & Croon Executive Managers (the Netherlands), The MacArthur Foundation, Hershey Hospital and at several non-US universities in Hong Kong, Belgium, the Netherlands and Ecuador as well as Penn State. She has published over 100 articles and 4 books, including “Collaborating for our future: Multistakeholder partnerships for solving complex problems” (Oxford U. Press, 2018) and has received two-lifetime achievements awards for her research on conflict and collaboration. 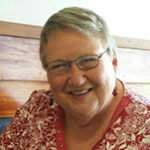 Pastor Judith Sanders Dye is a founding member and mediator for An Olive Branch. 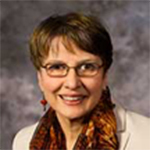 She is a United Methodist Clergy (Retired) of Nebraska Annual Conference, and is a trained and experienced mediator/facilitator in basic, church, multicultural (Hispanic/Native American) and community conflict management. 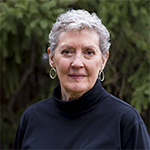 Judith advocated for conflict resolution legislation in Nebraska and was the founding chair of the Nebraska Justice Center board of directors, a community conflict management center for 24 counties in northeast Nebraska. She was trained in Family Systems Theory by the Center for Pastoral Studies of the Rockies. Judith is an active participant in a United Methodist Church contemplative covenant community. She holds a Bachelor of Science degree in Education and a Master of Arts in Teaching degree. Judith is an educator, former farm woman, farm crisis hotline staffer, rural missionary, and a rural and multicultural justice advocate. She has three children, six grandchildren, and two Hispanic sons-in-law. Her avocations include writing, traveling the blue roads, and old movies.